HATTIESBURG, MISS. 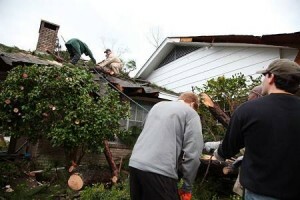 (BP) — Temple Baptist Church in Hattiesburg was right in the path of the tornado. Church leaders huddled children and adults into safe places at 5 p.m. Sunday (Feb. 10) for protection, when the storm shifted at the last moment, sparing the church but hitting the high school next door.